Problems with toddlers are cute but handful. Many a time we overlook a few of them and one of such is maintaining oral hygiene. Kids have the tendency to swallow whatever is put in their mouth and therefore when it comes to toothpaste; it should be mild and gentle. The India market seems to cater to this need of mothers very fondly. Since fluoride even in trace amount is essential for your baby’s growing teeth, some of the products do contain this ingredient. 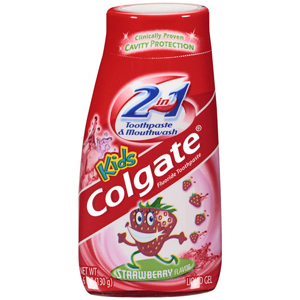 Colgate Children’s Toothpaste has the goodness of watermelon. Its expert ingredient content fight cavities, bad breath, plaque and other dental health related issues. The rich and fruity flavor makes it your kid’s favorite every morning. 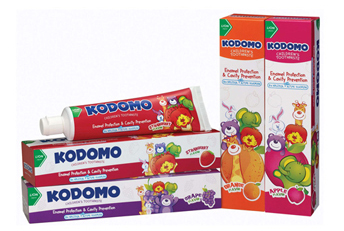 Kodomo Lion toothpaste is especially manufactures for kids with yummy strawberry flavor. This teeth whitening toothpaste contains safe and active ingredients like Sorbital, Water, Hydrated silica, Xylitol, Propylene glycol, Sodium Lauryl Sulfate, etc. 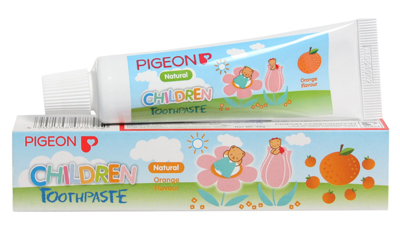 Pigeon Children Toothpaste is total dental protection toothpaste that contains light and refreshing flavor. It prevents tooth decay and help in building healthy gums. It is totally harmless for kids if though swallowed. Super White Toothpaste is a teeth whitening toothpaste for kids. It is carefully formulated with active ingredients like Calcium Carbonate, Sorbitol, Aqua, Silica, Sodium Lauryl Sulphate, Flavor etc. to fight dental problems in your kid. 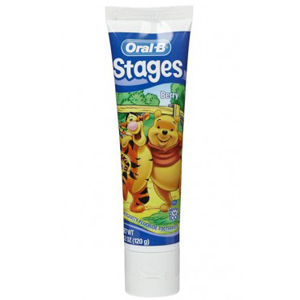 Oral-B Stages toothpaste is recommended by most pediatricians in India. This teeth whitening anti cavity fluoride toothpaste for kids offer a mild gel formula to help kids develop rinsing habits and minimize swallowing. This teeth whitening children’s toothpaste has the goodness of active yet powerful ingredients like glycerin, water, calcium carbonate, hydrated silica, fruit extracts etc. Since it contains no fluoride, it is totally harmless if swallowed by mistake. 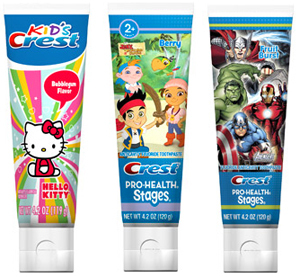 This best kid tested toothpaste features fun Disney characters. It includes a mild gel formula to help them develop rinsing habit. The rich and fruity flavor makes it your kid’s favorite every morning. Plus it fights every possible dental problem. 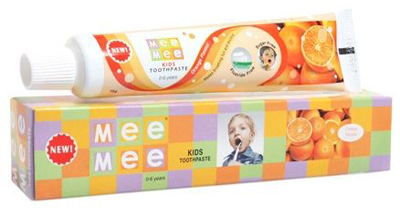 Mee Mee Kids Toothpaste is another most popular kid’s toothpaste available in the Indian market. The triple calcium and phosphate content strengthens teeth and provide healthy gums. It is completely sugar free and is highly recommended by pediatricians. Teachings from ayurveda are also applied in dental hygiene. Here are our collection of best Ayurvedic Toothpaste in India. This is a good list of toothpastes. I am familiar with Colgate toothpaste but I am not familiar with 2 in 1 toothpaste and mouthwash. The Tom’s of Maine Children’s Toothpaste sounds interesting to try because it has no fluoride. But I wonder if it is natural and organic too.